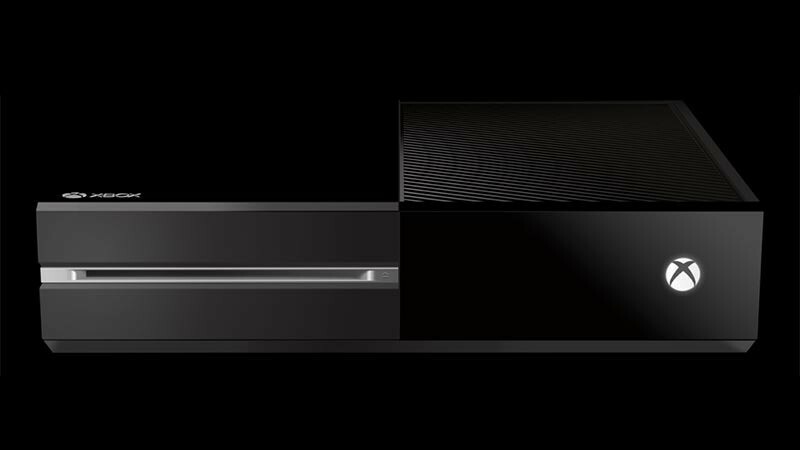 The Xbox One is looking like a bit of a slow burner. It really didn’t have the greatest start. 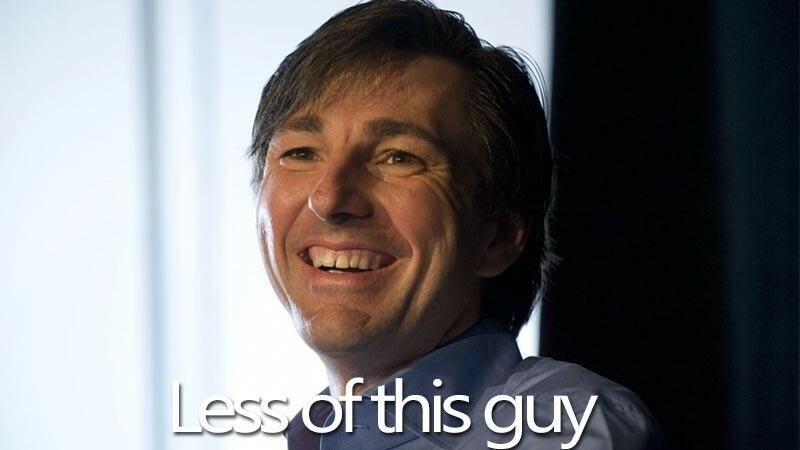 After its reveal by Don “The Jacket” Mattrick, the company was forced by near consumer revolt to abandon many of its planned features. For a long while after, it’d been much maligned; the little black sheep of the new consoles. But things are slowly, slowly changing, and the console’s been a little more respected. Speaking on the Xbox-focused podcast The Inner Circle, Microsoft’s Aaron Greenberg related why. 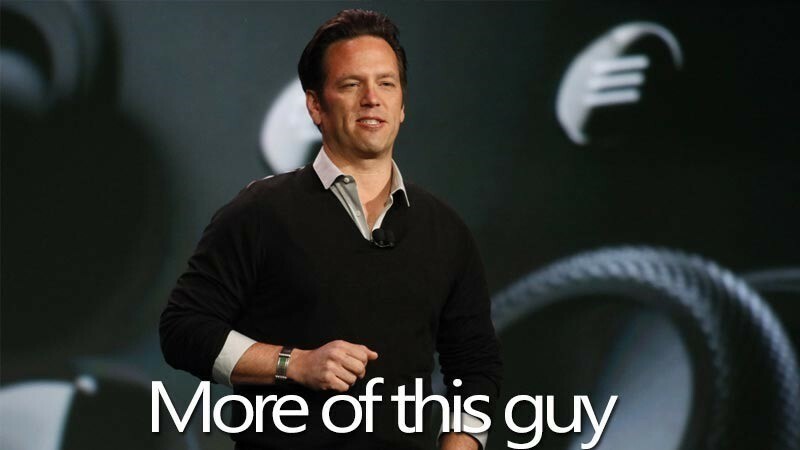 Mostly, it’s all down to Phil Spencer. Since he’s taken over, he’s helped the entire brand seem like more of a gamer-focused one than one concerned primarily with profit. “Phil has been the head of our games for many years, and to have him in charge of the entire business is the reflection of that. He’s been a great leader, people love working with him, and the guy knows games inside out. You can see that in the review. Phil can see stuff that nobody sees. He has that talent. He’s fantastic and he genuinely cares. He’s a total class act,” Greenberg says of his boss. The company’s adopted a new approach to its games business now, building up games and franchises, investing in the future of the Xbox brand and its exclusives. It’s a nice change, I suppose, from the over-reliance on Gears of War, Halo and Forza. “The slow and steady approach is our focus and we’re very clear on what we wanna do. We’re not wavering and we’re making investments and building the best games anywhere, and building the best platform for gamers. As for the future of the Xbox? It’s only going to get better, says Greenberg. We’ll soon see how bright that future is, when the company shows off DirectX 12 and its impact on the Xbox One at GDC next month.